Struggling to find a finishing touch to your wedding dress? Or are you looking for a corsage and boutonniere combination that complement one another? Let Passionate Blooms take the second guessing out with our stunning flower combinations, made specifically for you. There is a world of options for wearable flowers – if you can think of it, we want to make it! We always offer corsages and boutonnieres, headbands and hairpieces, flower crowns, and flower necklaces. Let us craft your next wearable for any time and place! Our flower crowns are a popular pick. A perfect pairing for Summer events, from parties to weddings, crowns add an elegant touch of nature to any occasion. When it comes to weddings, Passionate Blooms has extensive experience working to match our client’s vision. The selection process for floral arrangements is similar to the process for floral crowns, as we want to ensure that your crown stands out as a truly ideal combination with your entire outfit. The best part of wearable flowers is how flexible they are, fitting in at any event. 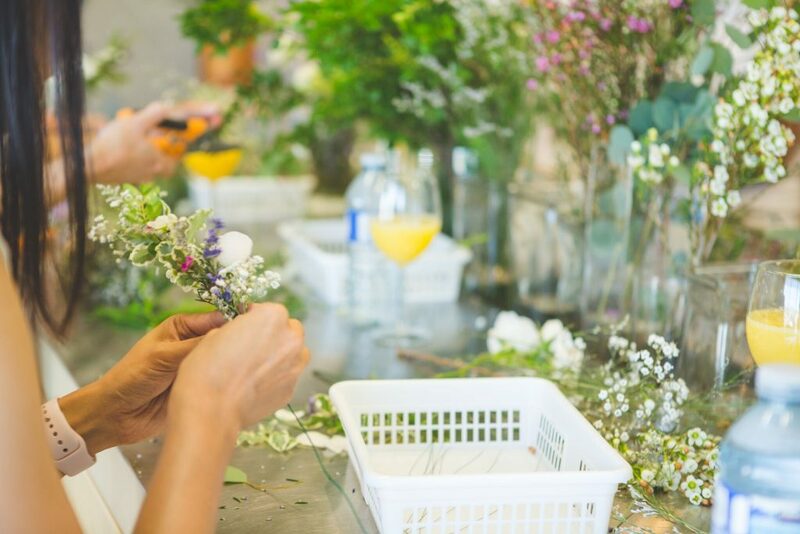 Bridal showers, birthdays, and weddings are the obvious occasions that you might expect to see flowers in attendance, however they are not so formal as to be limited to big events. Is your Summer dress missing a little something? Adding in a flower or two can really bring some life into the mix, adding a focal point that is rich with texture and colour. Here in BC, we are lucky to have nature surrounding us at every turn, but flowers rarely make it into the urban centres, especially worn flowers! Flowers as beautiful as the ones we have at Passionate Blooms are just waiting to be seen and appreciated, and we excel at crafting wearable flowers that are sure to stun. Start turning heads with our tiaras, or bring out your accent colour with a boutonniere. When you are ready to talk about your special wearable flower, give Passionate Blooms a call at 250.808.1282. 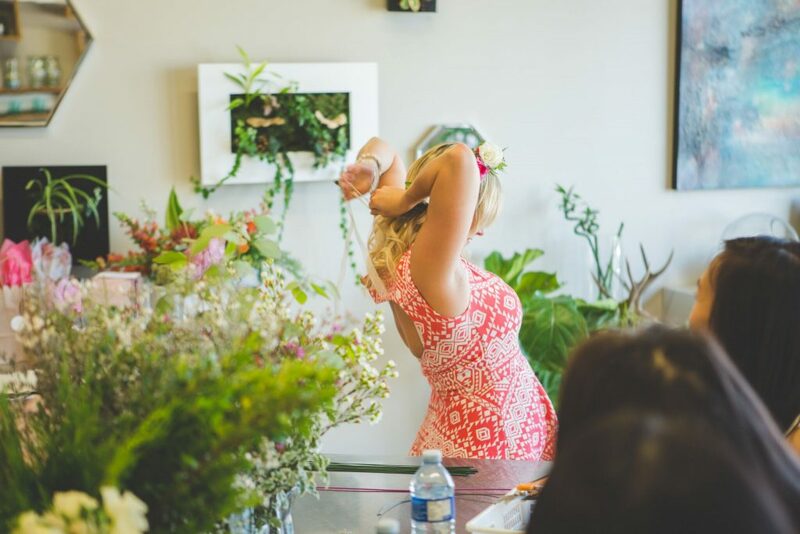 Our Flower Shop is located in West Kelowna, but we deliver throughout the Okanagan, so let’s chat and find your perfect flower pairing for any occasion!